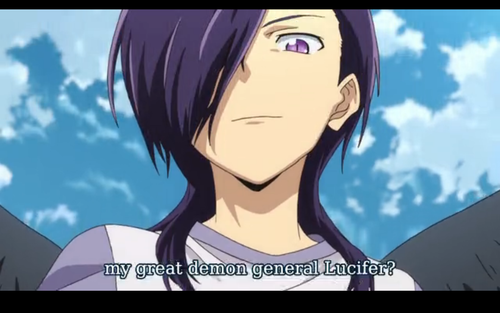 Lucifer from The Devil is a Part-timer!. 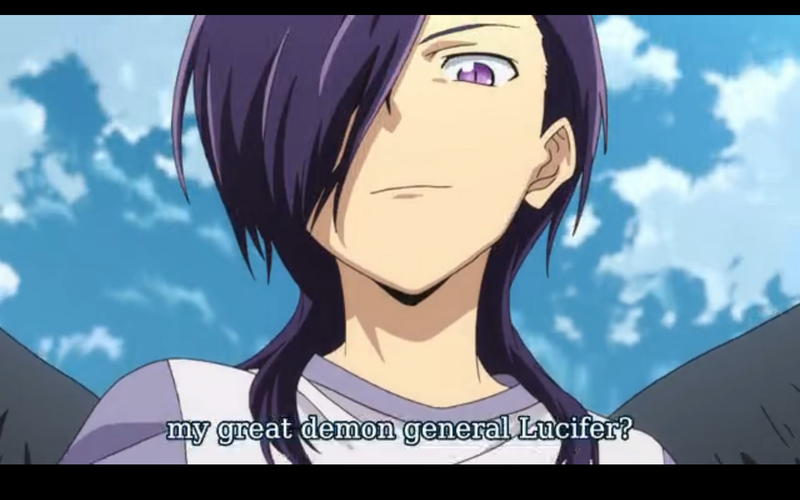 One of the great demon generals Lucifer, Hanzo Urushihara, makes his appearance in the anime The Devil is a Part-timer! (Hataraku Maou-sama!) Such a great and funny anime. HD Wallpaper and background images in the anime club tagged: photo the devil is a part-timer! anime lucifer demon fallen angel hataraku maou-sama! general. This anime photo contains anime, comic kitabu, manga, cartoon, and mkono.